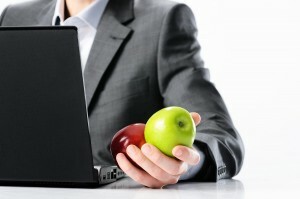 Healthy workers are more productive workers – so what can you do to create a healthy workplace? Here are some tips to ensure that everyone is performing at their best. Stretching will help to prevent back, neck and shoulder strain and it will also increase circulation which will improve alertness and brain function. Encourage all of your employees to take regular breaks from their work and stretch. You might even want to organize a morning stretching session where everyone starts their day with some stretches together. Working too hard for long hours can cause burn-out and can make your employees tired, fed up and unable to concentrate. They will actually be more productive and alert and able to do quality work if they get regular breaks to recharge. Create a breakroom area where your employees can go to recharge their batteries. It can have fun games to play, books to read, snacks, water and a few cozy places to sit. If you notice that one of your employees has been working on a project for a long time and they look a little bit tired or overwhelmed, encourage them to take a 15 minute break so that they can return to the work refreshed. Instead of offering donuts and muffins in the break room and during meetings, why not provide your staff with healthy snacks instead? Sugary food will cause them to crash, but snacks such as fruit, nuts, crackers and vegetables with dip will give them energy to keep going. Hydration is very important for health and drinking enough water throughout the day will help your employees in a number of ways. It will ensure that they are more alert, their immune systems are functioning well and they are able to concentrate better. To facilitate your employees drinking more water you can place a water cooler in the office in a location that is convenient for everyone. Also, allow employees to keep water bottles at their desk so that they can sip water throughout the day. The human body isn’t designed to sit down for many hours per day and most ordinary chairs will cause a lot of strain on the back and hips. Also, being hunched over a computer monitor and typing on a keyboard without the right support can cause a lot of pain and discomfort. It is worth investing in ergonomic chairs and keyboards for your office environment for a healthy workplace, as it will make a big difference when it comes to the comfort of your employees. Make sure that the chairs are adjusted to the right height and angle to ease strain on the back and shoulders, as this will be different for each employee depending on their height. These are just a few of the ways that you can maintain a healthy workplace so that you can perform at your best. We are proud to offer Qwest furnished rentals Toronto that is located right in the heart of downtown. There has recently been renovations in the building along side with improvements in our suites. Both have been transformed into a modern, comfortable and stylish place to stay. We have gone through a series of renovations over the years and recently in order to improve and make them more comfortable for our guests. We have removed the wallpaper and painting, installed new hardwood floors from carpeting, added most recently installed new kitchens appliances and bathrooms. One of the biggest changes was when we took out the carpeting and replaced it with hardwood floors, giving the living spaces a much more clean, spacious and modern feeling to them. We have also installed stainless steel appliances in the kitchen and have updated the cabinets with a coat of paint and new handles. The bathrooms are outfitted with a new vanity, countertops and a fresh coat of paint. Our renovations have been aesthetic as well as practical and we have decorated with several beautiful examples of local Toronto themed art. The choice of artwork gives each suite a cozy and elegant feeling and makes it feel more like home. The colour scheme chosen is grey and black, a dramatic a nd rich choice which will be timeless. We chose each element of the décor perfectly, so that together it would create an overall atmosphere of stylish elegance. The new look of the building has a modern simplicity and will add a lot of value to the property. The stylish décor gives each of the suites a relaxing feeling, so that you can feel peaceful and calm during your stay – whether you are visiting the Toronto area for business or pleasure. 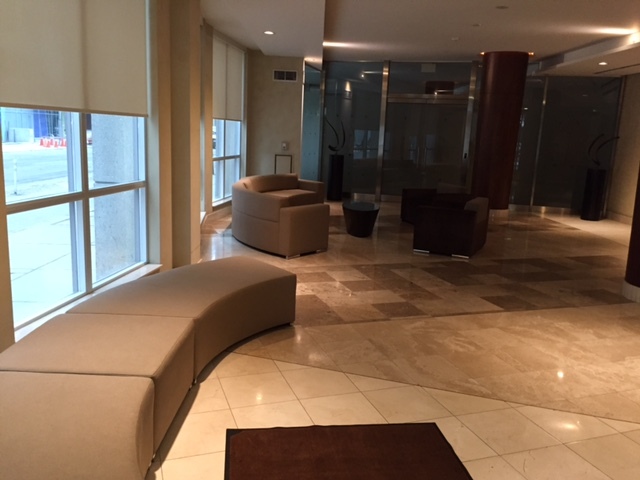 Compared to staying at a pricey hotel, staying in an furnished suite at the Qwest building offers a lot of advantages. You will have a living and dining area, kitchen and separate bedroom so that you don’t feel cramped into a small hotel room. All suites feature in suite laundry and built in closets that allow for more space in the bedro om. Flat screen televisions with premium cable programming, integrated iPod/alarm clocks and hi-speed wireless internet ensure you are entertained and stay connected during your visit to Toronto. Qwest also features a modern gym that is accessible 24 hours. 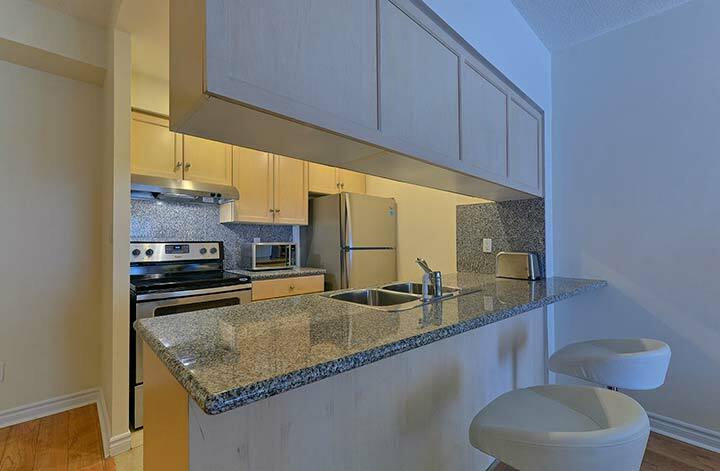 Each of the one and two bedroom qwest furnished rentals Toronto suites has a fully equipped kitchen, so you will be able to enjoy the freedom and convenience of self-catering during your stay. 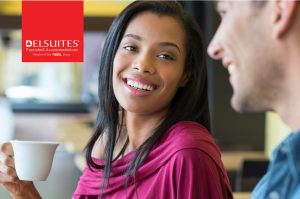 Many of our suites offer a separate work space so that when you are travelling for work you will be able to get caught up on business in comfort. We are proud of the renovations and are happy to offer a stylish and well equipped place to stay during your visit to Toronto. 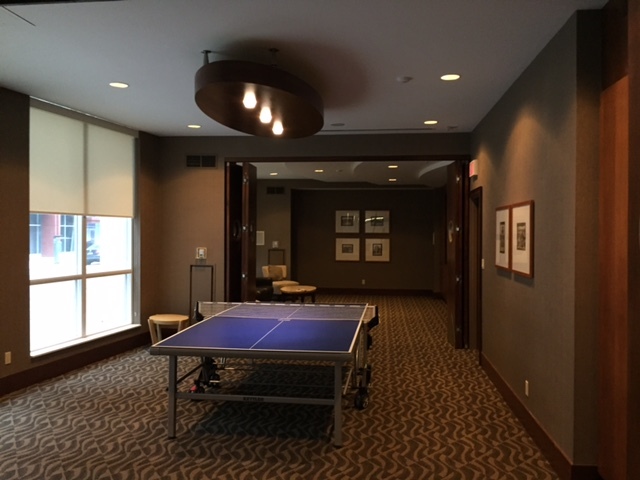 To see photos of our renovations or learn more about the suites, you can feel free to visit our website at any time. • Prepare in advance for as much as possible. There are many factors that you can’t control, but those you can control can be taken care of with advance planning. You can figure out the details, such as how to get from the airport to your accommodation, so that you don’t have the added stress of figuring them out on the fly. • Check in early. Many airlines allow you the option to do this online and it will save you a lot of time at the airport, making your trip smoother and more enjoyable. • Pre-book your transport from the airport to the hotel. • Pack as little as possible. If you can pack only hand luggage (on a short trip) you will be able to get in and out of the airport much more quickly. • Have some offline work that you can do so that you can make the most of the time when you are waiting around in transit but you are not connected to the internet. • Pack clothing that can be easily mixed and matched, so that you don’t have to think too much about coordinating your outfits when you are attending meetings and functions. • A furnished apartment or extended stay in Toronto can be more beneficial than staying at a hotel. You’ll have the advantage of being able to prepare your own food and do your own laundry, which will save money and be more convenient. Also, you’ll have a separate living space where you can do work, rather than having to answer work emails from your bed in a cramped hotel room. • Make sure that your short term rental has free WiFi before you book. It’s an important feature for a business traveller and you don’t want to have to go out to a coffee shop just to get a bit of work done. • Don’t forget to give yourself time to relax and exercise. 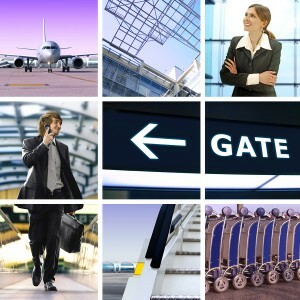 Many business travellers forget or neglect this, but it’s very important. Physical activity can help to reduce elevated stress levels that are caused by travel or working long hours. A swim in the pool or a workout at the gym can be the perfect antidote to business trip stress. These are just a few ways that you can reduce stress on a business trip and keep yourself from getting overwhelmed and exhausted. 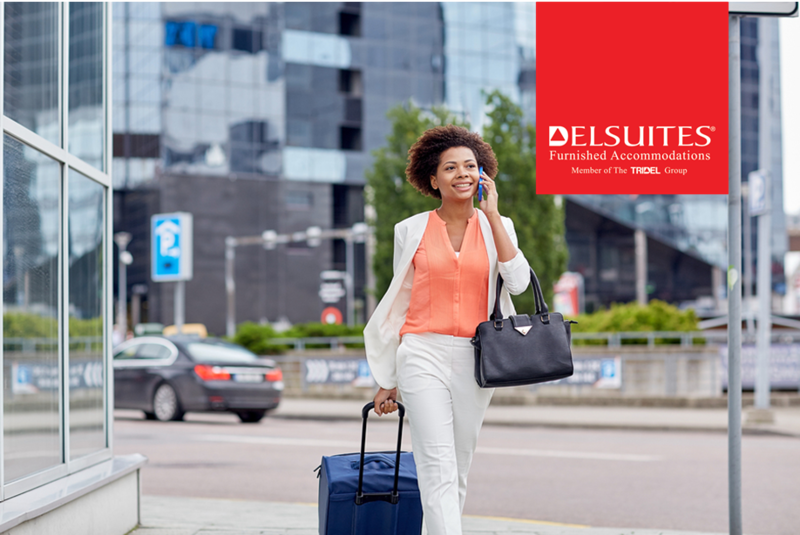 On your next business trip you can be prepared and organized, travel as efficiently as possible and take time to relax and enjoy the journey. After walking around Toronto in the winter chill for hours, checking out the attractions, admiring the sights and doing some shopping, you might be in the mood for a hot drink. You can head into one of these lovely Toronto Cafes for warming up with a hot drink whether it be a warm cup of coffee, tea or hot chocolate. If you are passionate about a good cup of tea, you’ll love this beautiful and cosy place. There are several different loose and pre-bagged teas to choose from, so you are sure to find your favourite blend. The staff are tea experts and if you let them know what flavours you like they will be able to recommend the ideal tea for you to try. You can even get a pot and stay for a while if you don’t want to go back out into the winter cold. Check out the tea latte bar and order yourself a London Fog. There are four locations of this great coffee shop throughout the city, so you will never be far fro m your next delicious cup of coffee. They offer delicious drinks and a great range of yummy and filling snacks and treats, as well as reliable fast Wifi. 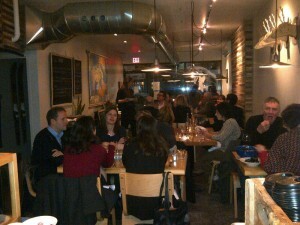 The décor is cosy and rustic and it’s a great atmosphere in which to relax after a busy day of exploring Toronto. In the east of the city you will find the Rooster Coffee House, a lovely place that feels like home. They offer really great coffee within a welcoming atmosphere and they also have a delicious selection of baked goods. You’ll love it so much that you won’t want to venture out into the cold again. This is another great cosy little café with only eight tables and a warm and welcoming vibe. It serves up delicious lunches as well as great coffee and hot drinks. Check out the pancakes and the open top sandwiches – perfect for filling up your belly when it is cold and dreary outside. Tango Palace is one of the cosiest cafes on the east end, so when the winter chill gets too much for you it’s the best place to warm up with a hot drink. It is a neighbourhood institution – being around for 17 years and offering a huge range of drink and food options. 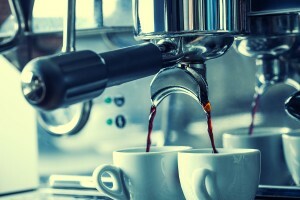 This coffee shop is set within a warm and inviting two storey house and it has a great selection of high quality coffees. The décor is rustic – the tables are made from thick cut raw wood and the walls are exposed brick. The staff are friendly and enthusiastic and will make you feel comfortable as you hide from the cold. Sip your favourite hot drink at our Toronto cafes for warming up and let it warm you up from the inside. Savour the bustling atmosphere and welcoming vibe of these great hangout spots. This exercise will strengthen your core while providing you with a great stretch. Start by lying on your stomach on a mat or on the floor with your legs outstretched behind you. Your toes will be pointed toward the wall and your neck should be relaxed. Exhale while you squeeze your core muscles and reach both legs up a few inches off the floor. While your legs are lifting, float both arms a few inches off the floor as well. Hold for 20 seconds, then slowly release. This classic exercise is great for working the upper body, but it also works to strengthen your core as well. These are basic squats, except with your arms up and your fingers laced behind your head. The hand position forces you to keep your chest upright and works your core muscles. This yoga position gives you a great stretch, as well as strengthening your abs and back. This exercise is harder than it looks. Lie on your stomach and then raise your body up on your elbows and toes, keeping your torso and legs stiff and strong. Your body should be as straight as a plank and the only thing touching the ground should be your forearms and toes. Hold this position for as long as you can, breathing deeply, then lower yourself back to the floor. Stand with your knees slightly bent and then jump up as high as possible, bringing your knees to your chest while you are in the air while extending your arms straight out. Start on your hands and knees and bring your left foot under your chest while straightening your right leg. Keep your hands pressed to the ground and jump and switch legs. One of the most difficult but effective full body exercises. Start with a squat position and put your hands on the floor. Jump your feet back into a push-up position. As soon as you have completed one push-up, jump your feet back to the squat position. Leap up into the air as high as you can before you squat and repeat. Slide your back down the wall until your thighs are parallel to the ground and stay that way, like you are sitting on an invisible chair. It won’t take long to feel the burn. From the plank position, roll to the side and come up on one of your elbows and the corresponding foot. Hold it for 30 seconds. The advantage of staying at one of our furnished condos is that all buildings have on-site fitness centres, including swimming pools, cardio machines and much more. With the on-site recreational centres and these 10 quick at home workout exercises, you can keep a healthy routine without having to worry about the weather or go out to find a gym in an unfamiliar city.